Thom has made his home in Vieques, Puerto Rico since 2000 and is having fun truly living the dream. His passion for Vieques will be instantly seen and you will love the island as he does after a few minutes chatting with him. Thom’s signature can be seen in his landscape designs and installations, interior designs, beautiful one-of-a- kind hand built pottery vessels, and by being a good neighbor and custodian of the island. 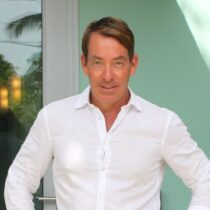 His efforts include fund raising for the Humane Society, rescuing animals one at a time, being a responsible business owner, and by providing island guests with the highest quality vacations possible. From the first time you meet Thom his people skills are apparent as you will feel at ease with his professional and personable working style and confidence in his ability to represent your best interests. Thom has hit the real estate market on Vieques with a bang closing real estate deals with precision. He takes pride in working with all types of properties and feels personally satisfied when buyers find the exact vacation home for their needs. Thom has closed some of the largest real estate transactions on Vieques and his level of professionalism is admirable. Thom is an expert in making a property a successful vacation rental and income producing property. His honed skill in knowing exactly what a property needs makes him invaluable to the purchasing process. Thom’s excitement and passion for the island have been exacting in creating the Bravos Boyz mystique. Many guests have referred to him as the “Hospitality Mayor of Vieques” and people are instantly drawn to his infectious smile. He has an innate love of real estate and often tours real estate openings and enjoys researching local markets when traveling to new places. Because of his passion for real estate and focus on customer satisfaction, as well as his continual desire to learn, he offers creative solutions for making a property work for you. Whether you are buying, selling, or renting it is in your best interest to contact Thom to help you realize your dream. At Bravos Boyz, and specifically when working with Thom as a Broker, you are guaranteed honesty with the highest standard of integrity! The property encompasses an acre of fenced property with a pool at the top away from the house for privacy and views. This home offers three bedrooms and three and one half bathrooms all in a fully fenced yard with a gated driveway.